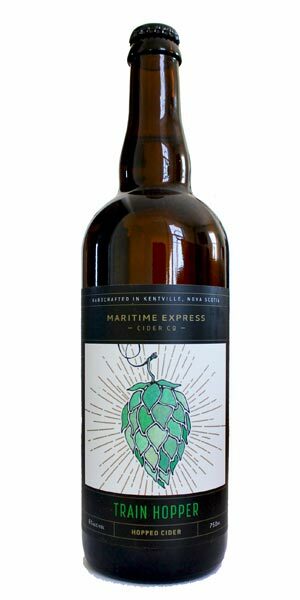 The Maritime Express Cider Co., is a cidery and taproom located in what was once the stone patio of an iconic railway hotel located in Kentville, Nova Scotia. The taproom offers a place to purchase a large selection of our growlers and bottles, while also providing a place to sit down and grab a pint. Take time to appreciate that the building was once known as one of Canada’s most architecturally beautiful hotels. Fresh citrus and hoppy aromas. Hints of grapefruit, floral and lemon notes mingle on the palate with a strong tart finish. 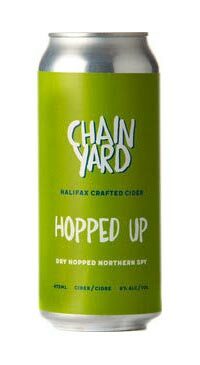 Train Hopper cider is dry hopped with three varieties of hops grown in the Annapolis Valley. 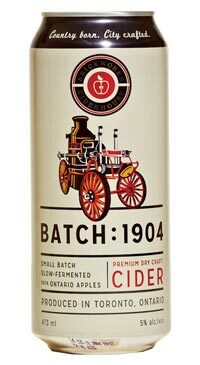 Inspired by the cider maker’s grandfather, who train-hopped across Canada during the Great Depression. It is a cider tribute to IPA lovers, or anyone who’s ever caught a train on the fly.